Do you recognize any of these famous frauds? 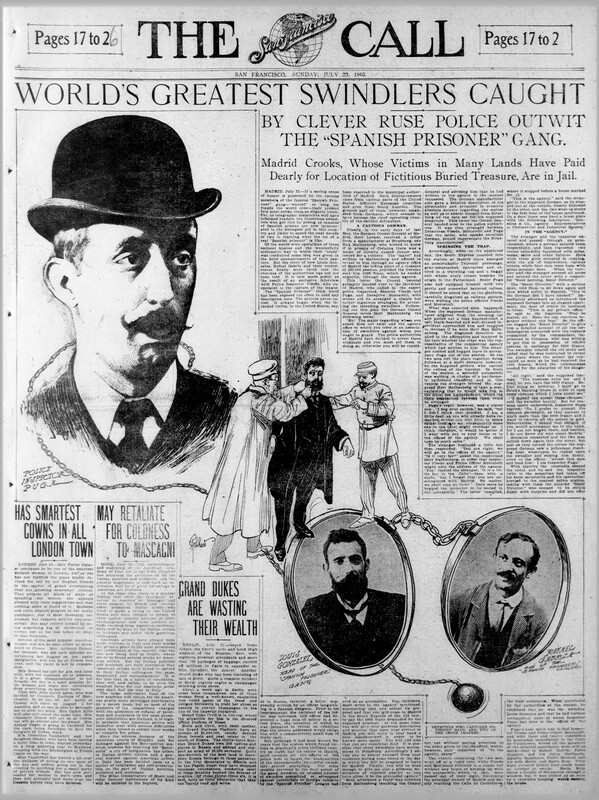 The Spanish Prisoner: “One of the oldest and most attractive and probably most successful swindles known to the police authorities,” or so said The New York Times in 1898. An advance-fee scam, the mark is implored either directly, or through a known party to bail a wealthy remote relative out of a Spanish (or other foreign nation) prison, for the promise of a larger reward once he is freed. Of course, complications arise, and the reward never arrives. The Badger Game: is an extortion scheme in which a man is lured into a compromising position, usually by a woman, only to be “discovered” and blackmailed by her accomplice. The term either originates from sport badger-baiting, or from the cons origins, Wisconsin (the Badger State). The Glim Dropper: relies on the greed of the mark and an accomplice with one eye. 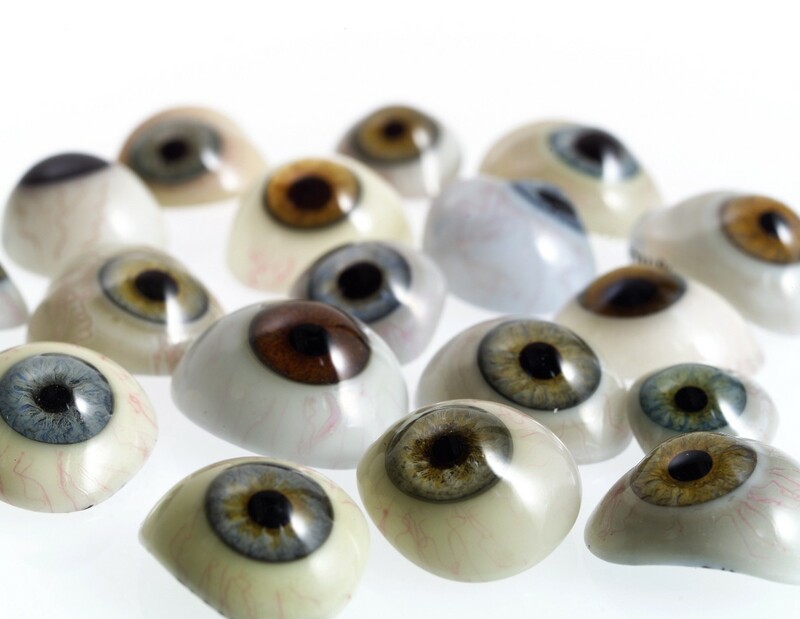 The one-eyed man claims to have lost his glass eye (the “glim”) and offers the mark a significant reward if returned. Later, an accomplice claims to have found it. 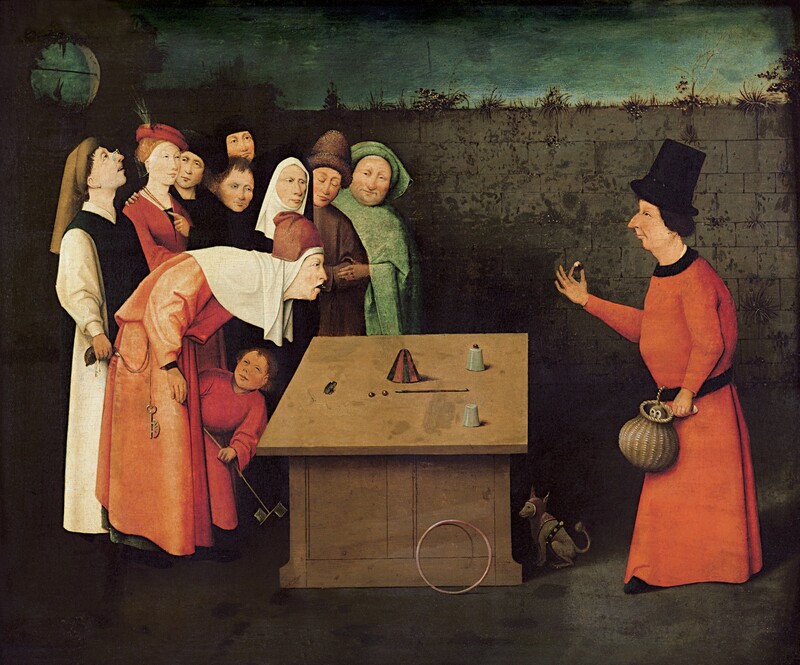 The mark is set-up to “con” the accomplice, offering him a smaller amount of money than the promised reward in exchange for the lost eye. Of course, the one-eyed man will never be found again, and the mark is out money with only a creepy eye to show for it. Sources: The American Heritage Dictionary of idioms.“An Old Swindle Revived.” The New York Times, March 20, 1898. “Do the Hustle: Three Classic Cons Explained” Wired.Co.UK, May 20, 2010. You don’t have to be an assassin, a witch, or a murderous barber to understand one. 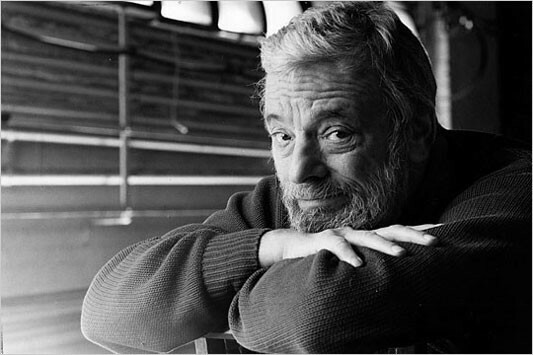 Stephen Sondheim revolutionized the the American musical by using rich characters with identifiable emotions as the driving force of the story in each of his shows. Sondheim’s use of intriguing music and lyric, memorable characters, and stories with heart has kept his audience rapt for decades. Sondheim on Sondheimgives us the favorite melodies we love while adding a treat of hearing the thought process behind their conception through the actual words of Sondheim. There is nothing like a story of romance backed up by great dance numbers, singers with soul, and toe-tapping music. The change in the way these songs have been written has shifted over the years marks the evolution of the musical form. Writers like Sondheim, Rodgers and Hammerstein, and Jerome Kern each shook up how a composer writes a song. No longer merely expositional, or simply supporting a spontaneous dance number, lyrics became a means to greater understanding and empathy. These composers revamped musicals by rooting them in a stronger dramatic tradition, or “theatre that sings,” as Producing Artistic Director and director of Sondheim on Sondheim, Spiro Veloudos, refers to it. “No longer did we walk out of the theatre just humming the songs but we were also thinking about what we just saw,” he says. 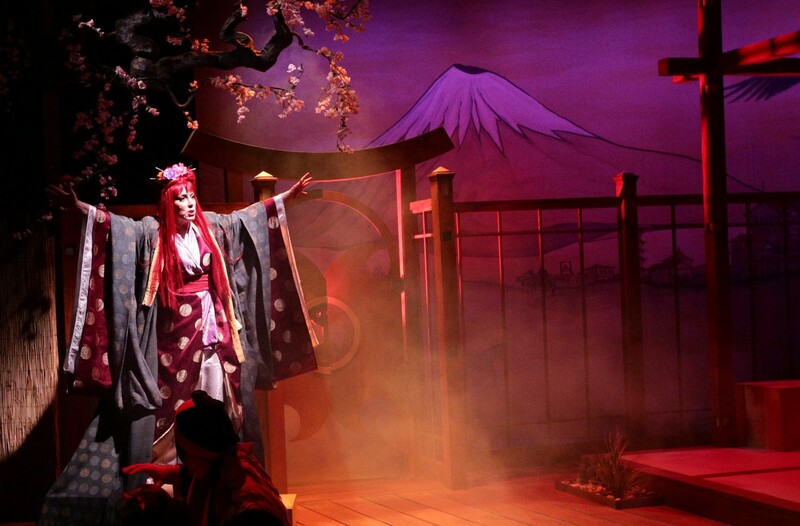 It is through the richness of those lyrics that Sondheim weaves stories and characters that audiences identify with. Sondheim uses broad archetypes when shaping the outward trappings of his characters but it is the emotions they experience that make them relatable. Jealousy, revenge, love, desire are all emotions we can identify with even if we aren’t the demon barber of Fleet Street. 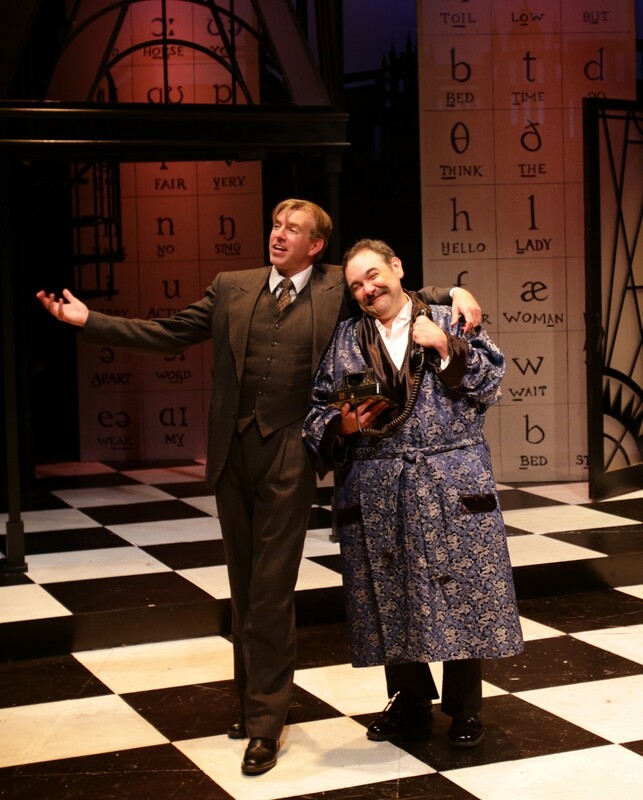 The key of any well-constructed play is well-developed characters that draw an audience in. 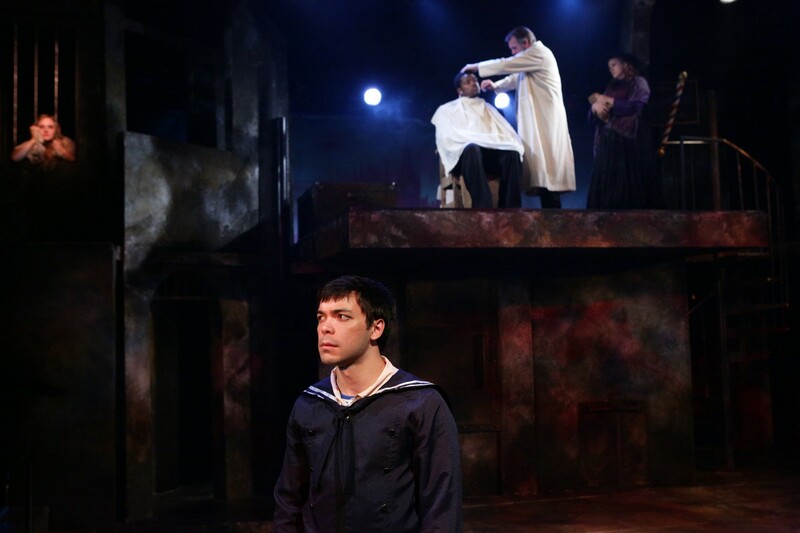 Throughout the production the audience is privy to Sondheim’s inner thoughts on his work. For example at one moment inthe show, he talks about the difficulty of writing love songs and specifically “torch songs,” in which the singer grieves an unrequited or lost love. 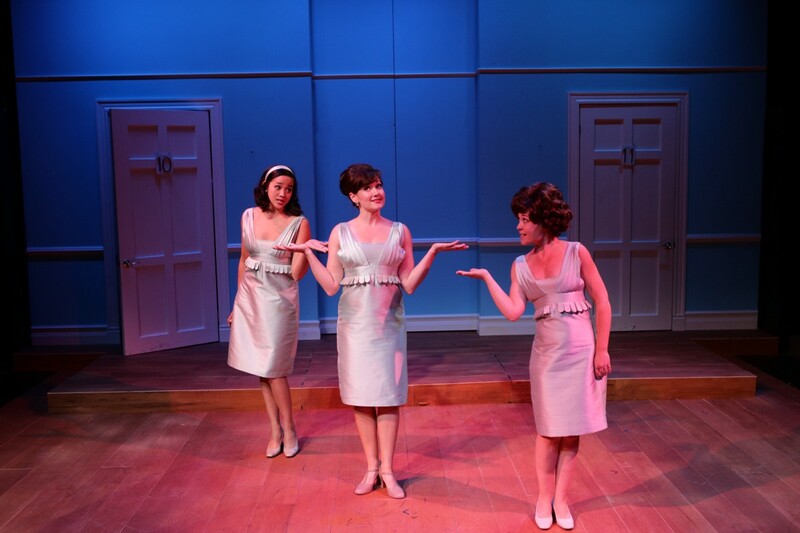 What follows are tandem performances of “Losing my Mind” from Follies and “Not a Day Goes By” from Merrily We Roll Along. We hear a conversation between the pieces — two women’s stories about a love that consumes them. The character Sally sings about an unrequited love and being trapped by the hope of what could have been. The other character, Beth, mourns the loss of her marriage. Sondheim illustrates here that a torch song is often about being haunted. While the two characters are singing about a similar emotional state, their stories are incredibly different. One song builds and burns with rage and intensity; the other is slow and melancholy sung by a woman who will always be dogged by the memory of her loss. Sondheim on Sondheim puts these two songs next to each other to illustrate that although dealing with a similar emotion the characters’ different takes on the song is what makes Sondheim’s work so distinct each time. This type of song still resonates with audiences and listeners as evidenced by Adele’s newest chart-climbing hit, “Hello.” We can all relate to a love that we’ve lost. The common thread throughout Sondheim on Sondheim is the range of emotions and the characters grapple with. Veloudos explains, the themes “become leitmotifs: time, relationship, regret, moving on,[etc.]”. 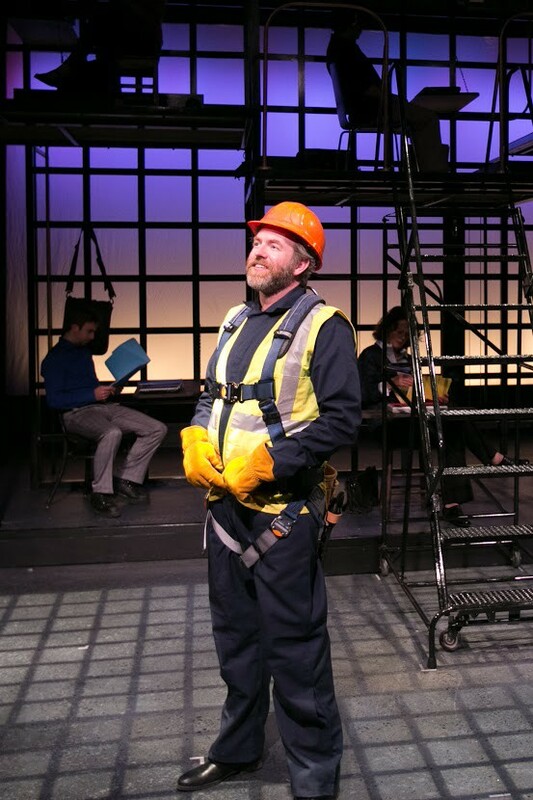 This show revolves around the idea of exploring connections between characters, what they want, and how they express that through song in Sondheim show. 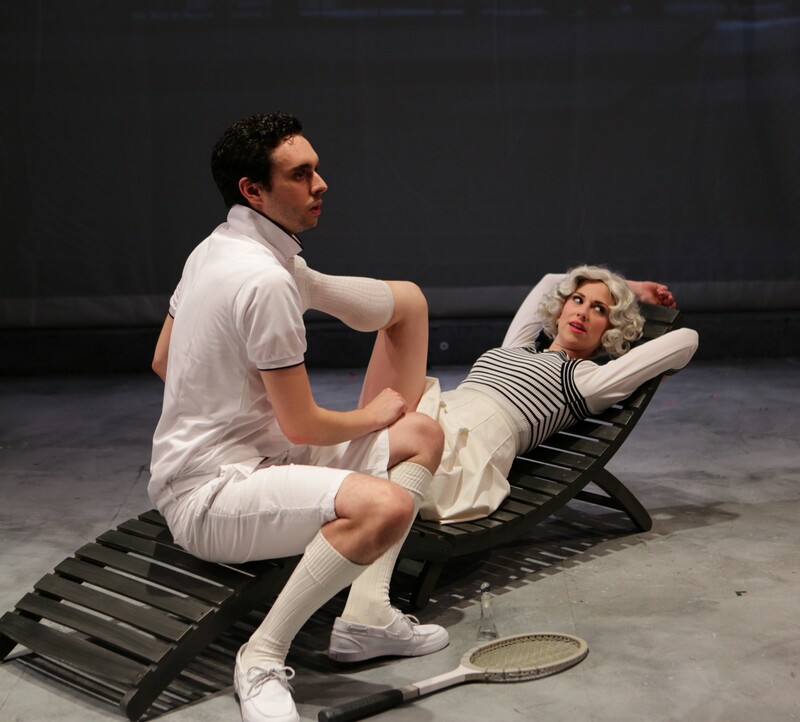 The Lyric Stage’s unique space enhances the feeling of intimacy both in proximity to actors and the way in which the show delves into Sondheim’s innermost thoughts. Like Bobby, and so many of Sondheim’s characters, we long for affinity. Sitting together in a darkened theatre, at its best, should provoke us to think about ourselves and those sharing that space and moment with us. As each new song in Sondheim on Sondheim unfolds, we perhaps recognize ourselves and our own desires onstage, echoed in beautiful song. Katharine Mayk is an Artistic Assistant at the Lyric Stage and is pursuing her Masters in Theatre Education at Emerson College. PBS News Hour. “Interviewer Jeffrey Brown talks to master lyricist Stephen Sondheim about his new book, “Finishing the Hat”. ” December 8, 2010. Where have you seen Boston’s Best? 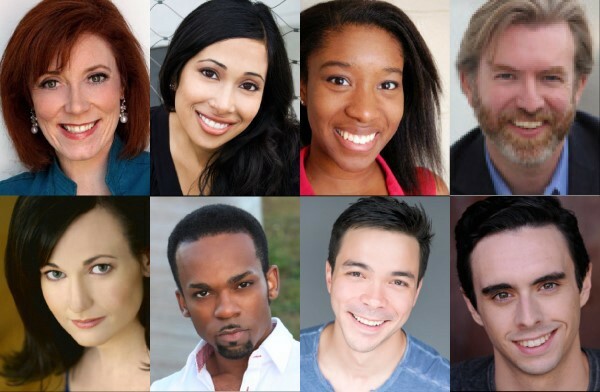 From top left: Leigh Barrett*, Mala Bhattacharya, Maritza Bostic, Christopher Chew*, Aimee Doherty*, Davron Monroe*, Sam Simahk* and Patrick Varner. 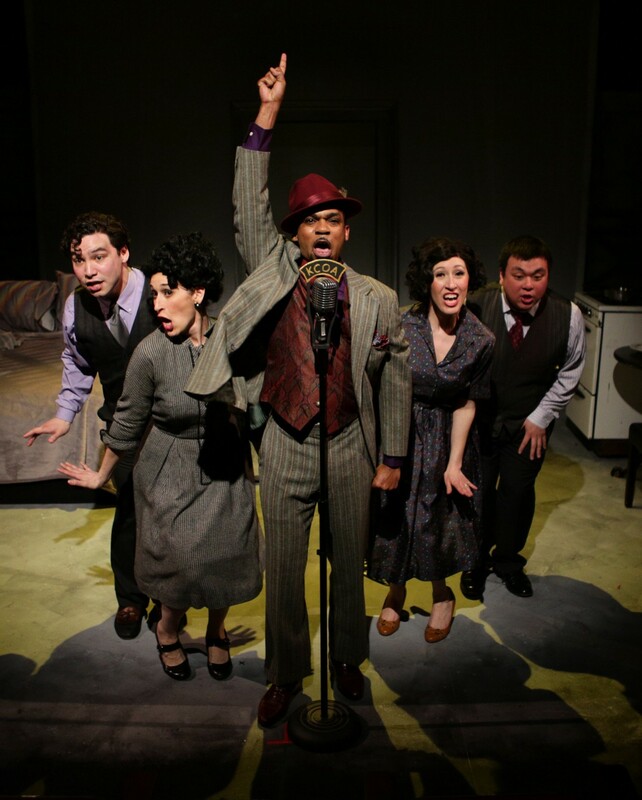 The cast of Sondheim on Sondheim is a group of Boston’s best musical theatre performers. All of the actors you’ll see performing Sondheim’s greatest hits have called the Lyric Stage home before. 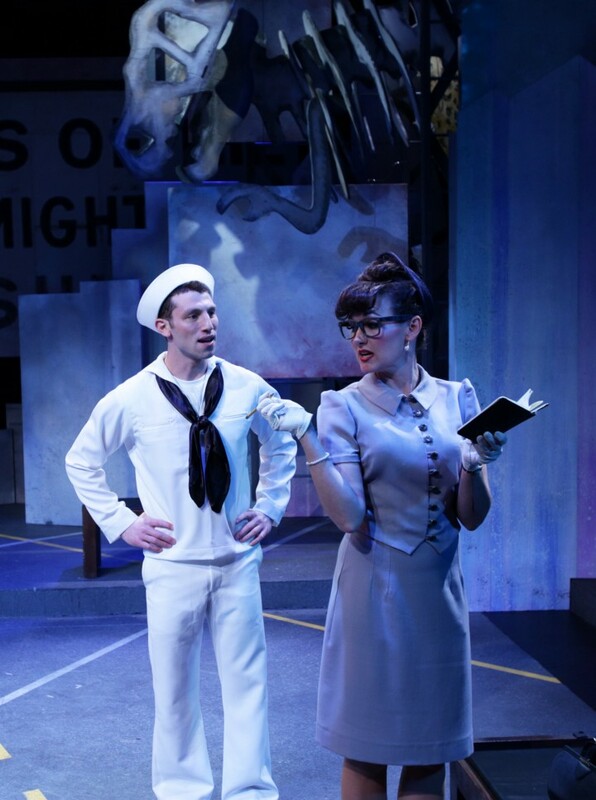 Aimee Doherty returns to the Lyric Stage after performing in One Man Two Guvnors, On The Town, Animal Crackers, Grey Gardens, See What I Wanna See, and Adrift in Macao. Previous Sondheim roles include Into the Woods (Lyric Stage and New Rep), Follies (Lyric Stage), A Little Night Music (Huntington Theater), Company (Company Theater and SpeakEasy Stage), and the review Marry Me A Little(New Rep). Television and radio credits include The Makeover(ABC) and The Making of a Monster: Whitey Bulger(Discovery) as well as various radio spots for D’Angelos, Papa Gino’s and the Museum of Science. Aimee received Elliot Norton Awards in 20013 and 2014 for Best Actress in a musical for Hairspray(Wheelock Theater), Far From Heaven (SpeakEasy Stage), On the Town and Into The Woods (Lyric Stage) and an IRNE Award in 2011 for Best Actress in Nine(SpeakEasy Stage). Next up: Mr. Burns: A Post Electric Play with the Lyric Stage opening April 8. 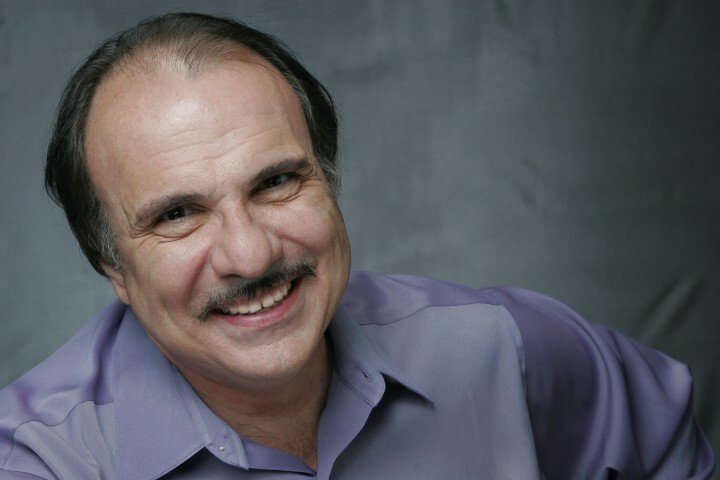 Christopher Chew returns to the Lyric Stage having appeared in Sweeney Todd, Working, Man of La Mancha, Urinetown: The Musical, Shakespeare in Hollywood, A Little Night Music(IRNE Award, Best Actor), Sunday in the Park with George, It’s All True, Side Show, and The Spitfire Grill. 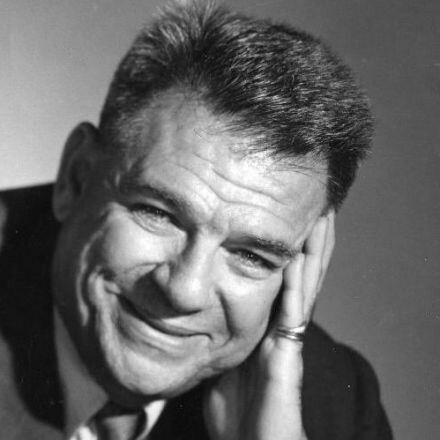 Other Boston area credits include productions at SpeakEasy Stage, Wheelock Family Theater, Hanover Theater, Stoneham Theater, Worcester Foothills Theater, the American Stage Festival, North Shore Music Theater, the Huntington Theater, CentaStage, and the Village Theater Project, of which he was a founding member. Christopher earned his B.F.A. 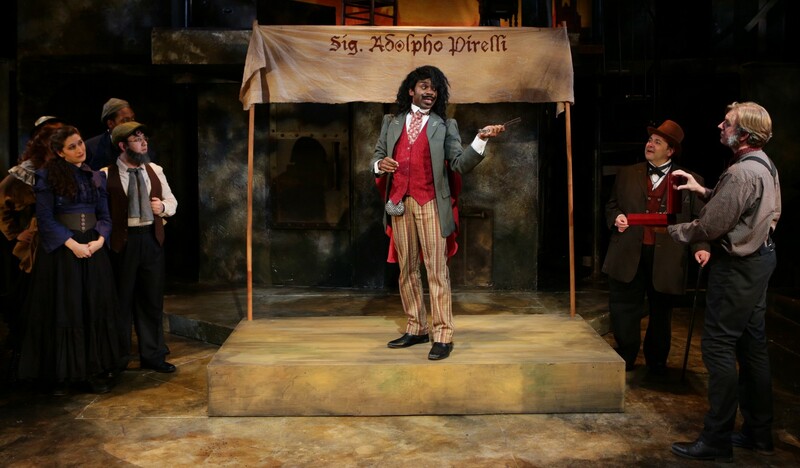 in Drama from Carnegie Mellon University, an M.A.T. in English from Fitchburg State University, and an Ed.D. from Northeastern University. Leigh Barrett has been seen at the Lyric Stage in City of Angels, Grey Gardens, Souvenir, Nicholas Nickelby, Big River, Animal Crackers, Follies, A Little Night Music, Mikado, Nuncrackers, and Sunday in the Park with George. 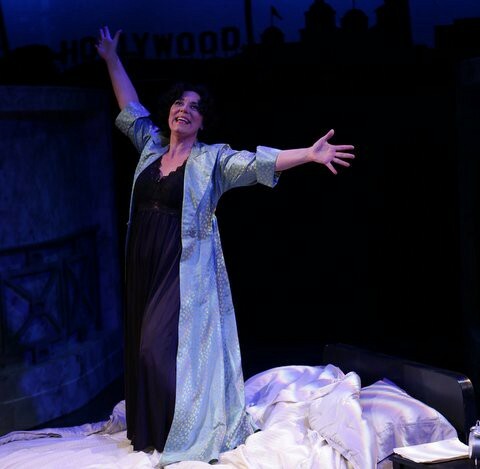 Recently, Leigh directed and starred in Closer Than Ever at the New Rep where she also appeared in Ragtime, Threepenny Opera, Indulgences, Side by Side by Sondheim, The World Goes ‘Round and Wild Party. Other local credits: Passion, Great American Trailer Park Musical, The Mystery of Edwin Drood, The Drowsy Chaperone, Elegies, A Class Act, Adding Machine(SpeakEasy Stage), Marry Me a Little, Jacques Brel (Gloucester Stage), Alice, Sound of Music (Wheelock Family Theater), Company(Moonbox Productions), Gypsy, Picnic, John & Jen, You Never Know, Pal Joey (Stoneham Theatre), and the long-runningCar Talk, the Musical! (Central Square Theater). She is the proud recipient of two Elliot Norton Awards and two IRNE Awards. She is an independent vocal/acting coach and vocal wellness consultant in Reading. Sam Simahk returns to the Lyric Stage, having performed in Sweeney Todd, Into the Woods, and The 25th Annual Putnam County Spelling Bee. Previous credits include: Big Fish (Speakeasy Stage), Miss Saigon (Starlight Theatre, Ogunquit Playhouse), the King and I (Ocean State Theatre), Grease (Seacoast Repertory Theatre), and Carousel, Thoroughly Modern Millie (Rocky Mountain Repertory Theatre). Born and raised in Ashburnham MA, Sam is a proud graduate of Emerson College and member of AEA. Davron S. Monroe is returning to the Lyric Stage after having appeared in My Fair Lady, City of Angels, Sweeney Todd, One Man, Two Guvnors, The Mikado, Avenue Q, and Ain’t Misbehavin’. Musical theatre credits include: Godspell (Moonbox Productions), Hairspray (Reagle Music Theatre), Dreamgirls, Jesus Christ Superstar, Children of Eden, Songs for a New World(premiere, Key West Symphony, Broadway Across America), Smokey Joe’s Café, Cinderella, Streakin’!, a ’70s musical revue, Sweet Charity, Brigadoon, and Show Boat. Cabaret: The All Night Strut. Opera: fully staged or concert/scene productions of Carmen, Treemonisha, Porgy and Bess, La finta giardiniera, Rigoletto, Lucia di Lammermoor, La fille du régiment, L’élisir d’amore, Così fan tutte, Die Fledermaus, The Tailor of Gloucester, The Gondoliers, Aida, and Die Zauberflöte. 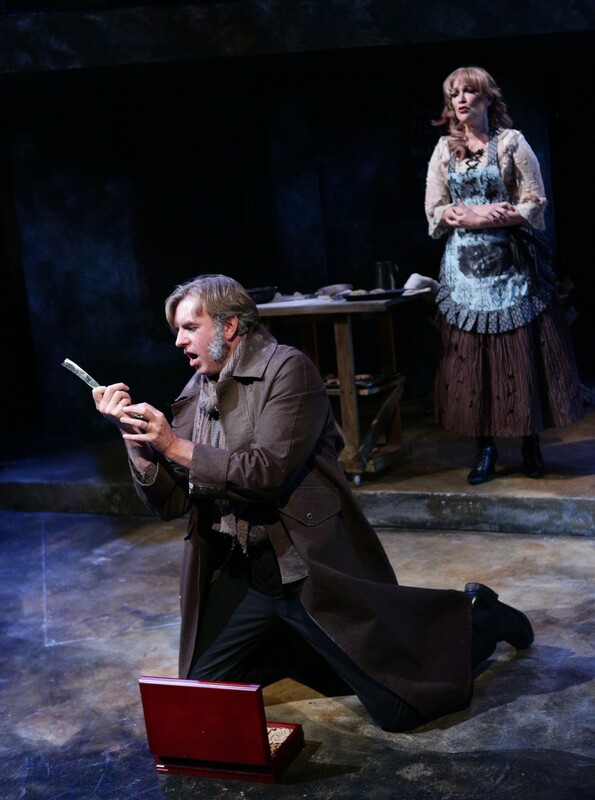 Mr. Monroe premiered the role of Thomas Edison in Juventas’s New Music Group production of Light and Power. He has also appeared with many orchestral and vocal organizations, such as Boston Landmarks Orchestra (Lost in the Stars — a celebration of the 50th Anniversary of the “I Have a Dream” speech, and The Chariot Jubilee), the First Church UU, Belmont, the Brevard Music Center (finalist, Orlando Opera’s Heinz Rehfuss Singing Actor Awards), Disney Entertainment’s Voices of Liberty, Jacksonville Symphony Orchestra, Key West Symphony (young artist), Houston Ebony Opera Guild, the New England Spiritual Ensemble, New England Voices, the Longy School Orchestra, and many other organizations throughout the greater Boston area. Davron is the first recipient of the Bob Jolly Award for up-and-coming local actors. 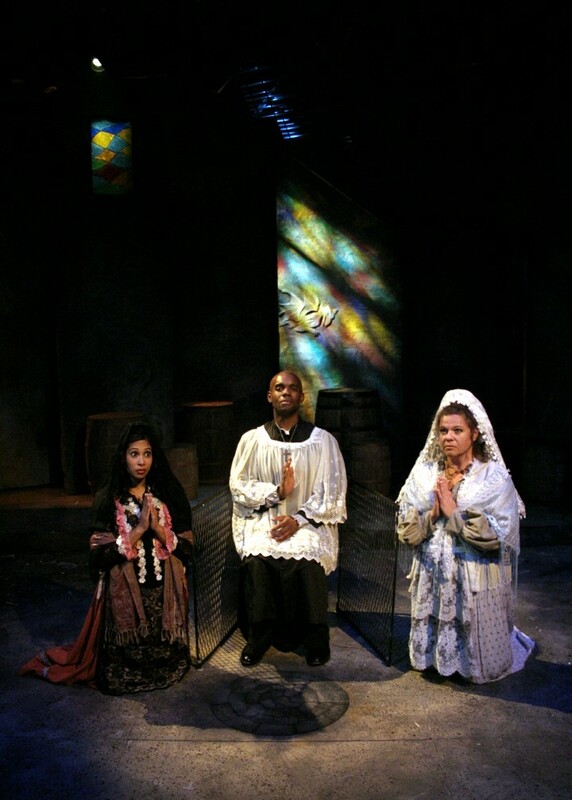 Mala Bhattacharya was last seen at the Lyric Stage in Man of La Mancha and previously in Miss Witherspoon. 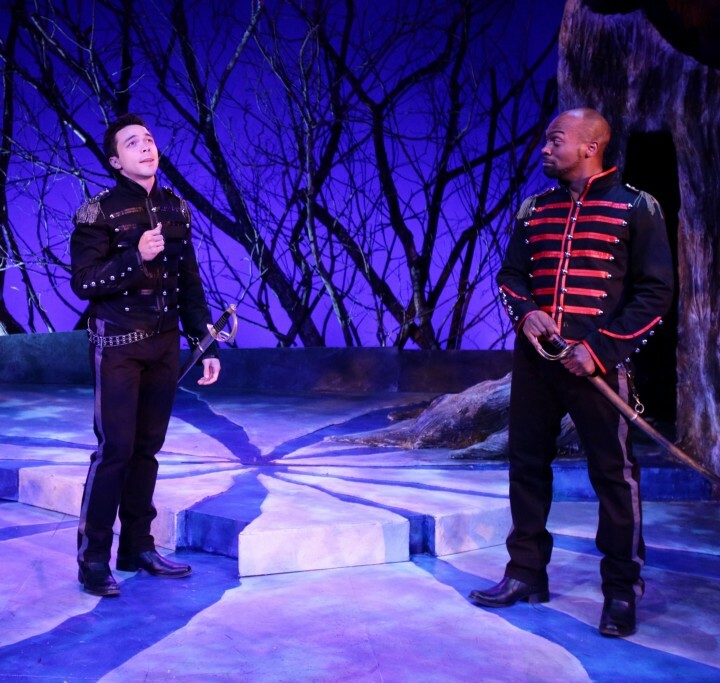 Other area credits include The Bubbly Black Girl Sheds Her Chameleon Skin(SpeakEasy Stage), and The King and I, Into the Woods (Fiddlehead Theatre). New York City credits include The Ghost Dancers (Stone Soup Theatre), Shakuntala (The Authentic Theatre), Forbidden Office(Turnstyle Theatre). 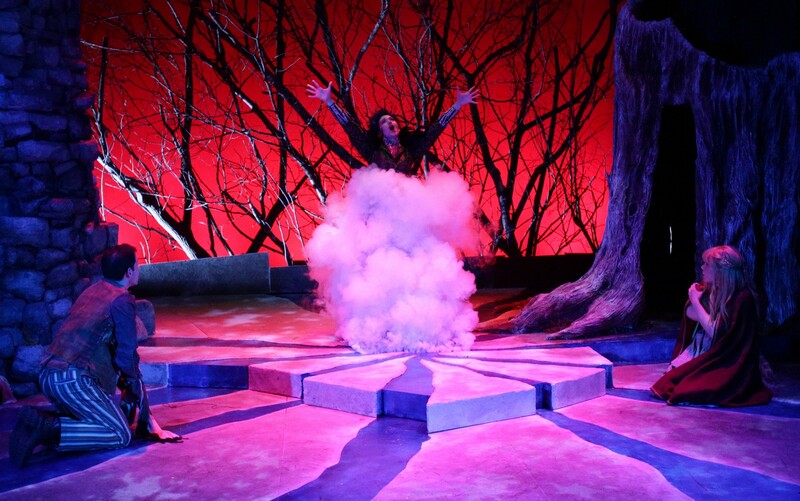 In Atlanta, Mala appeared in Guys and Dollsand Sondheim on Sondheim(Act3 Productions). Mala is an active voiceover artist, most recently lending her voice to projects for Jimmy Choo, Turner Broadcasting, PBS, and the Leukemia and Lymphoma Society. She has been a resident artist with Berkshire Opera and the Pine Mountain Music Festival. She holds an M.M. from the Longy School of Music. 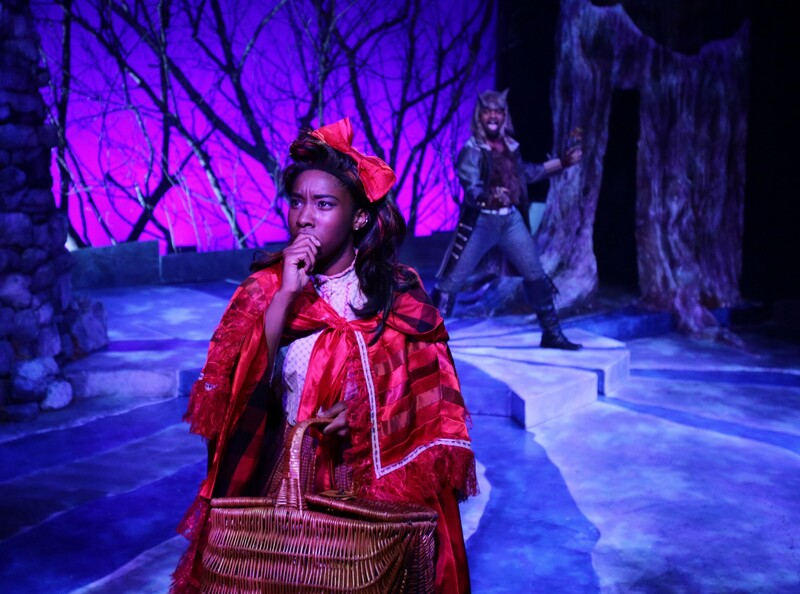 Maritza Bostic is returning to the Lyric Stage after being seen in Into the Woods. Her recent credits include Shaping the World (Bad Habit Productions), Creative License the Musical (NYC Fringe 2015), Alice the Musical and Hairspray (Wheelock Family Theatre), A Little Princess (Fiddlehead Theatre), and School House Rock Live! (Boston Children’s Theatre). A Reading, MA native, she participated in the Lyric First Stage summer program prior to attending college for two years. Maritza is a proud member of Salem State’s graduating class of 2014 with a B.F.A. in Theatre Arts Performance. She is also an enthusiastic two-year touring cast member of Speak About It, Inc.
Patrick Varner returns to the Lyric Stage after appearing in City of Angels, and understudying the one-man-show Buyer & Cellar. Recent credits: Human Comedy (Boston University), Assassins (New Rep), Translations (Bad Habit Productions),Brundibar, But the Giraffe! 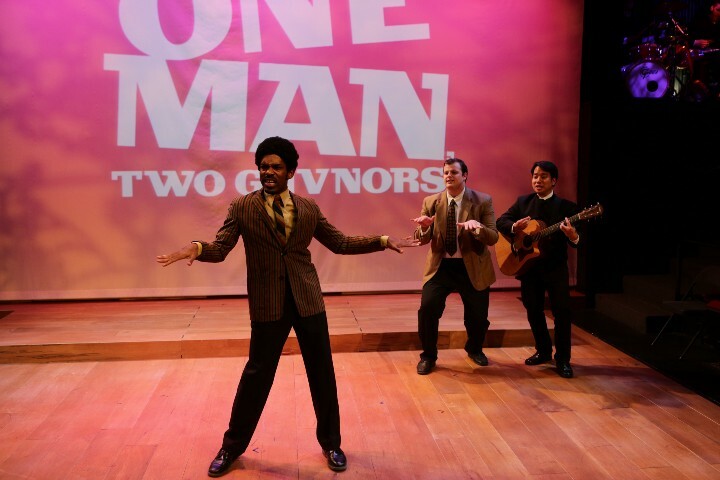 (Underground Railway), Born for This: The Bebe Winans Story (ArtsEmerson Workshop). Other credits: Shining City, Buried Child, Camille (Boston University), Hamlet, Richard II (London Academy of Music and Dramatic Arts). Patrick received his B.F.A. in Acting from Boston University in 2013, and has also studied at the London Academy of Music and Dramatic Arts, and CAP 21 in New York.